William and Josephine's first three children were born, and died, between late 1846 and 1850. We do not know their names nor their exact dates of birth and death. Neither do we know where they are buried. The following excerpt is taken from the biography of their son Alfred Benitz, “Alfred Benitz: Pioneer, Sportsman and Gentleman”, published by Olga Benitz, "La California", Argentina, 1952, page 15. Their second child, a girl, was playing outside the house when she was abducted, which suggests she was at least old enough to crawl. Her sad story fits a Kashaya folk tale about a group of their youths who abducted and killed a white child. Some observations: The family story has been embellished: (i) the Kashaya village was next to the fort so dashing off on a horse would not have been necessary, and (ii) the Kashaya did not scalp their victims, so the child most likely died from injuries sustained during her abduction. That said: Why the abduction? William had a good (for the times) working relationship with the Kashaya. When Josephine returned 50 years later for a visit, in 1898, she specifically wanted to see “her Indians”. Where the three infants are buried is another mystery. The Benitz-Kolmer cemetery in Timber Cove is 2-3 miles distant from the fort and — as far as we know — was not established until five years later, in 1855, when Michael Kolmer died. Had Josephine’s first three children been buried there, surely she would have included their names on the headstone she installed for her parents in 1898. The infants were more likely to have been buried close to Fort Ross, probably in one of the Russian cemeteries. There are two clues suggesting it was a Russian cemetery: (i) From her visit to California in 1898/1899, Josephine kept just three Cabinet Cards (photos mounted on cards) of Fort Ross and Timber Cove: the Russian Chapel, the Russian cemetery, and the Benitz-Kolmer cemetery. (ii) Recent excavations of the Russian cemetery have unearthed several small Prosser buttons, used on baby clothes and dolls; first manufactured in Europe after 1840, it is unlikely they could have reached Fort Ross before the Russians departed end of 1841. In about 1851 Josephine’s parents moved much nearer to a farm two miles north of Fort Ross at Timber Cove, a gift from William. They likely provided her with much needed support and comfort for Fort Ross was a lonely place. It may be just a coincidence, but her fourth child, Frank, born in May of 1850 was her first child to survive the frontier life. The lucky seven all grew up at Fort Ross and in Oakland, where they were educated. The family emigrated as the children were coming of age, arriving in Argentina in 1874 on the brink of its Belle Epoque. When their father died in 1876, he left them “La California” (4 sq.leagues of some of the best crop-land in Argentina) and more than enough gold and silver on hand to have easily doubled their land holdings. But five years later Frank’s disastrous ventures cost the family dearly, most if not all of those funds were gone as well as a ¼ of their land. In spite of this set-back, the second generation, embued with their parents’ pioneering spirit: opened up new lands, took risks, worked hard, and accumulated wealth. 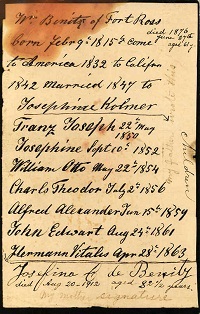 By the mid-1890’s, Frank, Charlie, and Herman had met misfortune and died, but the remaining family members were prospering: Josephine (daughter) was living well in Buenos Aires, Willie was at “La California”, Alfred was renting “Los Palmares” (stocked with 16,000 head of cattle), and Johnnie had recently purchased “Los Algarrobos” (4 sq.leagues). That was the beginning of their recovery. Alfred and Johnnie would continue buying land, either alone or in association with others; and all the siblings would soon build themselves and their mother comfortable summer homes in the hills of Córdoba. These are their stories as best we could determine from their diaries, letters, photos, and other documents that have come down to us. To access, please click on their name below or on the button with their name in the first row of the above menu. The following are brief descriptions of what you may find on their respective pages (all are under contruction). We assume their protraits were taken in early 1873 for they were printed in May, 1873, in Oakland, California. These copies were kindly provided to us by Jill Hudson. 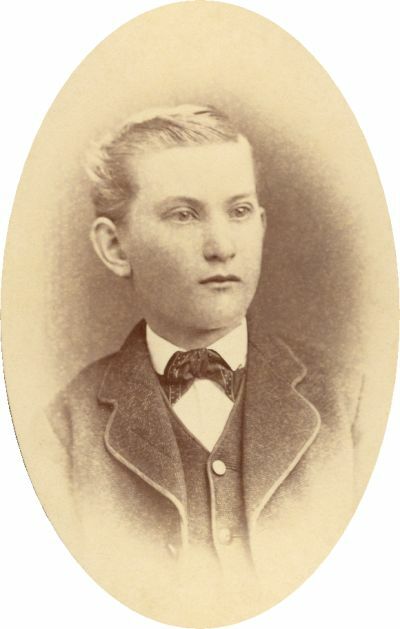 Born 22 May, 1850. Frank grew up at Fort Ross; he was 17 when the family moved to Oakland, 24 upon arrival in Argentina, 26 when his father died in 1876. After his father’s death, he went his own way—undertaking disastrous ventures, in particular Colonia Espín. His financial mishaps forced the sale of a quarter of "La California". 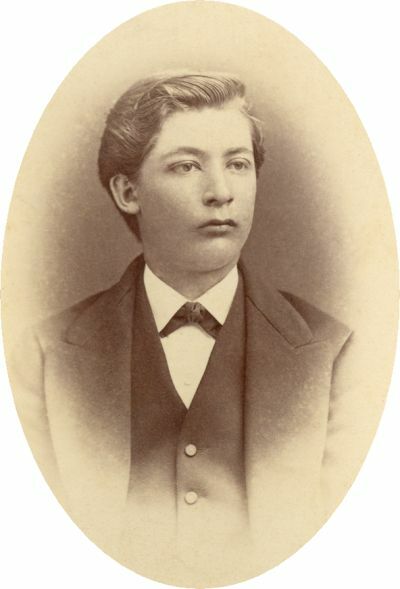 He is reputed to have had a family out-of-wedlock, yet on 1 June, 1881, he married Elisa Bichsel of Alejandra at “La California”. Returning to Colonia Espín from a trip to Santa Fé city, he left Alejandra on 23 November, 1881, and vanished; all indications are he drowned that day crossing the El Toba river. He was 31 years old. Frank and Elisa had no children. She lived at “La Califronia” for at least 4 years; in about 1887 she remarried (Lorenzo Güller). Site content: Several pages, covering Oakland to his disastrous ventures, including maps, diaries, photos, & letters; plus a short bio of Elisa. Born 10 September, 1852. 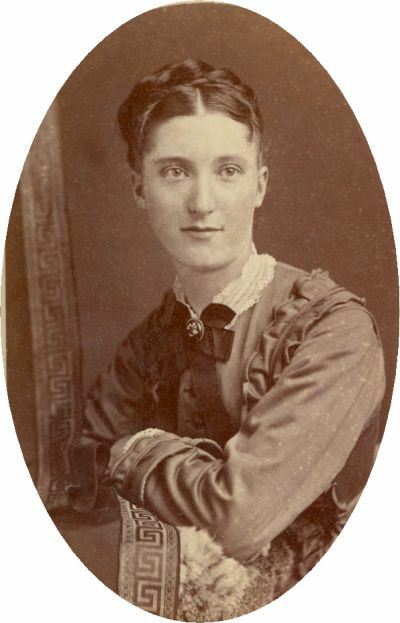 Josephine grew up at Fort Ross and Oakland; she was 15 when the family moved to Oakland, 22 upon arrival in Argentina, 23 when her father died. Apparently at odds with her mother, she found happiness at 26 when she wed John Schreiber on 12 November, 1878, of Rosario, originally from Hamburg, Germany. They had 6 children. John became a prosperous lithographer and for a time worked for the Argentine mint (in Buenos Aires). Like her siblings, she & John established a summer home, “Los Nogales”, in Cruz Grande, Córdoba. Josephine died on 13 November, 1919, at the age of 67, John lived on until he was 90 years old, dying on 26 September, 1932. Site content: Several pages of diaries, poesie books, & photos. Family surnames: Grimmé, Higham, Leuthner, Schreiber, Ucko, & Wiurnos. Born 22 May, 1854. Willie grew up in California; he was 13 when the family moved to Oakland, 20 upon arrival in Argentina, 22 when his father died. 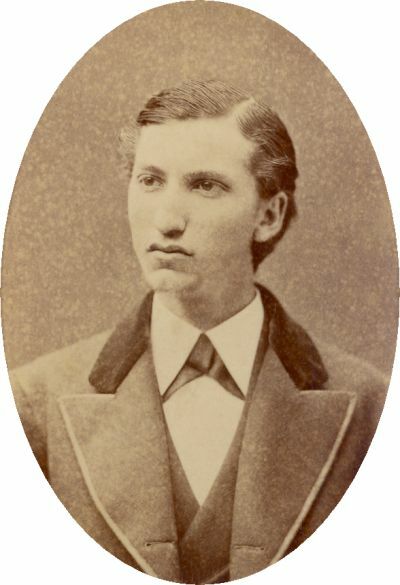 He was 25 in 1881 when he chased Clara Electa Allyn back to Corsicana, Texas, and married her. Originally from Rochester, Minnesota, Clara was one of the school teachers invited to Argentina by President Sarmiento. 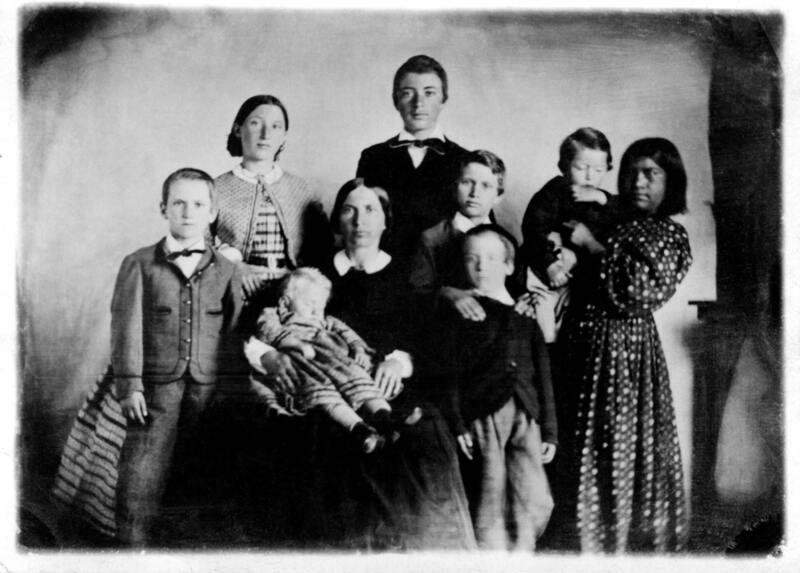 Willie and Clara had 8 children. During the 1880’s he managed an estancia at Rincón de Landa, near Gualeguaychú (Entre Rios). When Benitz Hermanos was dissolved, he received the headquarters and surrounding lands of “La California”. His summer home, “Greystone”, in Los Cocos, Córdoba, is a few kilometers north of those of his siblings. In poor health for some time, he travelled to the US in the hopes of a cure. Willie died at the age of 56 while visiting his in-laws in Corsicana, Texas, on 1 April, 1911, and is buried in the Allyn family plot in the Oakwood Cemetery, Corsicana. Clara lived another 20 years, until 12 October, 1930. She’s buried at "La California". Site content: Several pages, including the early estancia day-books of “La California”. Family surnames: Bell, Benitz, Le Bas, Mohr-Bell, Pryor, Roberts, & Watt. Born 2 July, 1856. Charlie grew up in California; he was 11 when the family moved to Oakland, 18 when he arrived in Argentina. Always of weak constitution, ill since 1870, he collapsed after attempting to lift a heavy pump part when on a routine 30 km. trip for supplies to Cañada de Gómez. He lay down to rest in the railroad station master’s home and died there that day, 12 April, 1877, just 20 years old. He’s buried at “La California”. Site content: A page of summary information. Born 15 June, 1859. Alfred was a child of 8 when the family moved to Oakland, only 15 upon arrival in Argentina, 17 when his father died. He essentially grew up at “La California”. A bachelor most of his life, Alfred was a successful rancher and big game hunter (Argentina, Yukon 1908, African safari 1910). 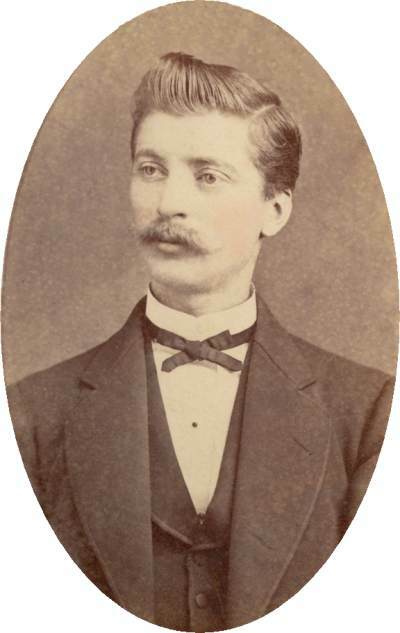 In 1884, aged 24, he established a camp for the family at Laguna Yacaré; in 1889 he moved to estancia “Los Palmares” (rented from the Santa Fé Land Co.); it became his enterprise when Benitz Hermanos split; he bought it in 1904. His part of estancia “La California” he named “Las Tijeras”. In 1909 he added to it the neighbouring “Las Tres Lagunas” — filling its halls with his hunting trophies. In 1917 he bought “Campo Winter” in the Chaco (expanding it in 1927, 1932, and 1937). In 1915, at the age of 55, he married Olga Blanche Horner. They had no children of their own but raised three of Olga’s brother’s children whom she adopted after Alfred’s death. Uncle Alfred outlived all his siblings becoming the family patriarch, councelor, and banker. He died at the age of 78 on 17 September, 1937, at “Las Tres Lagunas”. Diminutive Auntie Olga, the family battle-axe, received an OBE for her support of the British war effort during WW-II. She was 87 years old when she died on 4 February, 1963, at “El Rincon”, and is buried beside Uncle Alfred at “La California”. Site content: Many pages: including photos, a full biography, estancia day-books, maps, personal diaries of his many trips. 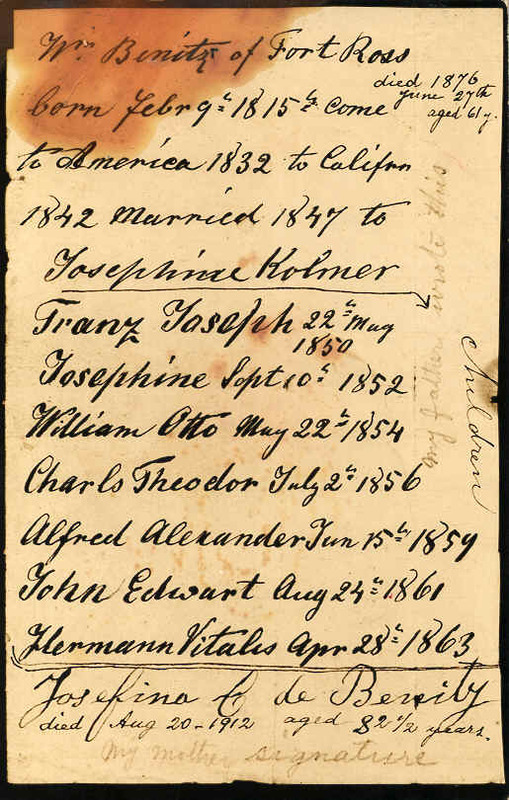 Family surnames: Horner & Sundt. Born 24 August, 1861. Johnie was a child of 6 when the family moved to Oakland, and 13 upon arrival in Argentina. 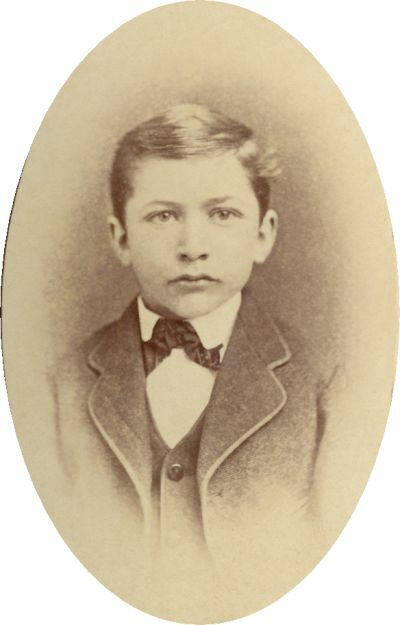 Still 14 when his father died in June, 1876, he grew up at “La California” to become a civic-minded successful estanciero (rancher). He helped establish towns and schools, served as mayor of two towns, was a founding member of the Rosario and Bell Ville agricultural societies, and of the Asociación Argentina de Polo. When Benitz Hermanos was dissolved in 1902, he received estancia “Los Algarrobos” south of Monte Buey, Córdoba. He also managed “El Victoriano” & “La Escondida” next to the Algarrobos, and “El Bermejo” in the Chaco — estancias he owned in partnership with T. Agar, M. Cross, and others. He also managed neighboring “La Minnesota” for his brother Alfred. On 25 October, 1892, he married Marjorie Macintosh; they had 5 children. Johnnie’s life was cut short on 20 March, 1916, when a flash flood washed through his summer home “Cruz Grande”, Cruz Grande, Córdoba. He was 55 years old. Marjorie lived another 30 years and was 83 years old when she died on 26 December, 1945, at “Los Algarrobos”. They are both buried at "La California". Site content: Many pages, including diaries & photograph albums. Family surnames: Benitz, Greaven, Hogg, Lockwood, Sympson, & Webster. Born 28 April, 1863. Herman was a child of 4 when the family moved to Oakland, and only 11 upon arrival in Argentina. Just 13 when his father died in 1876, he grew up at “La California”. He was reputed to have been a hard worker, assisting his brothers operate “La California”, “Laguna Yacaré”, & “Los Palmares”. He died of a gunshot while on a holiday at the coastal resort of Mar del Plata, Argentina, 31 January, 1893. He was 29 years old. He is buried at “La California”. Site content: Short bio., 2 portraits & he appears in early photos of “La California”.